“My account was hacked” is the new “My dog ate my homework”, on social media. Social media was outraging over the stalking incident involving Haryana BJP chief’s son and the alleged cover-up that followed. But some on social media were trying to defend the accused, by raising questions over the character of the victim. 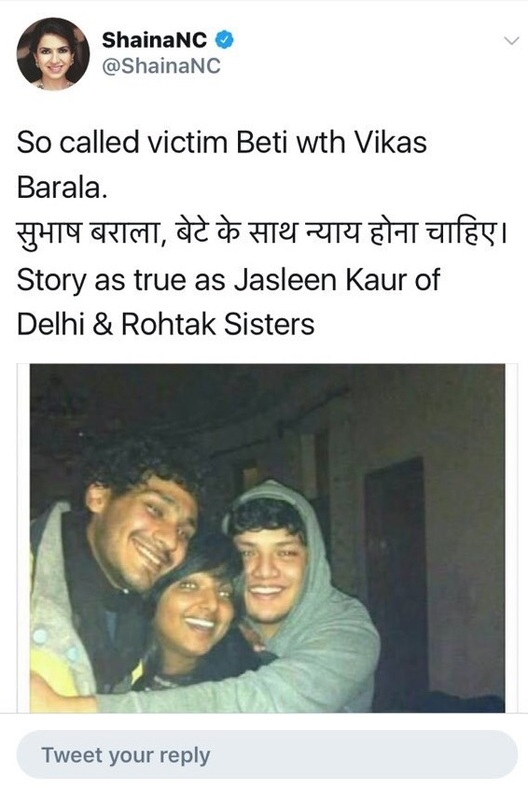 A picture, purportedly showing the victim and the BJP chief’s son in a rather friendly pose, went viral on social media. This was used by some to claim that the two had been friends, and possibly romantically involved, and this could just be a love story gone sour. Just gt access back to my account; some mischievous folks had hacked the account. This was followed by a quick change in tone and tenor. Rajdeep Sardesai too had pulled the same stunt last year when his social media users complained of receiving abusive messages from Sardesai’s account. The hacker who hacked into Sardesai’s account has not been found yet. 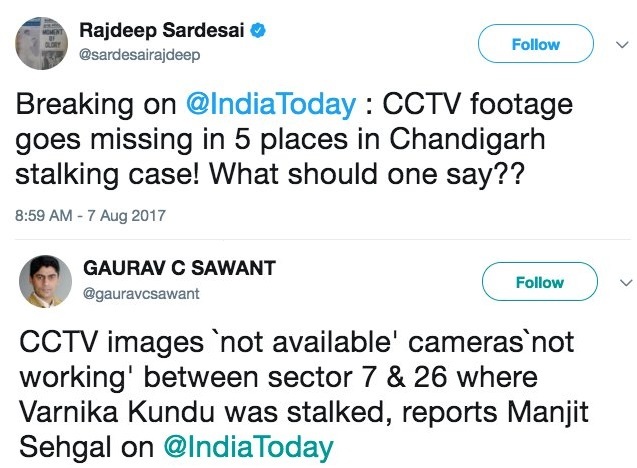 While Rajdeep claimed the footage had “gone missing”, implying that the footage had existed and then been made to disappear, his colleague Sawant tweeted that the footage was not available at all, since the CCTV cameras were not working. Rajdeep suggested malafide intent, whereas Sawant implied that it was just the CCTV system not functioning. Of course Rajdeep Sardesai, is known to spread lies on twitter every now and then, and has not yet been questioned by social media on this issue. Or else we may get to know of one more “hacking” incident.